Applesauce is one of those simple foods that feeds your soul. The taste is pure and uncomplicated. It can remind you of your childhood and of crisp fall weather. I love to eat mine warm with a little extra sprinkle of cinnamon on top. 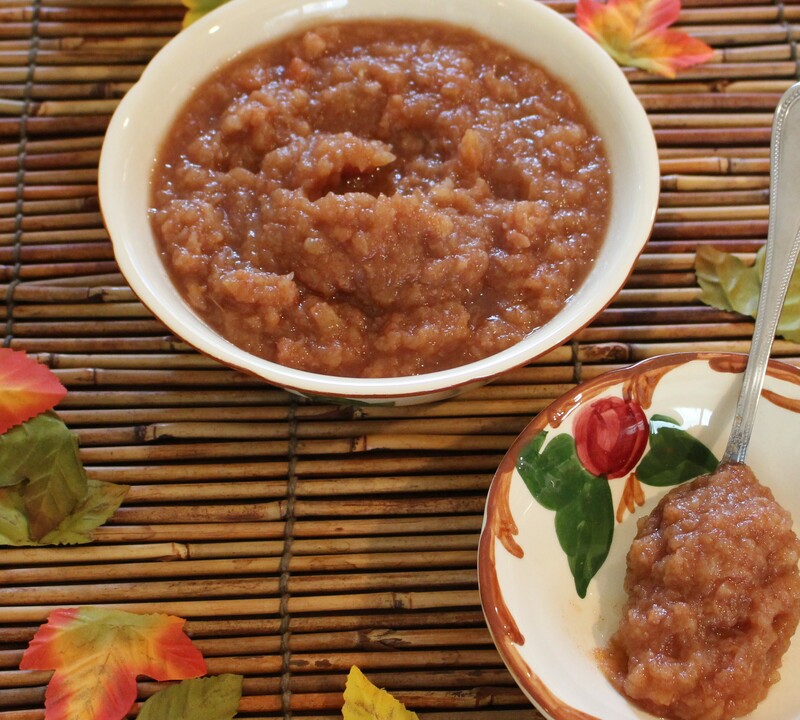 This recipe is so easy to make that my recipe testers kept asking me if that really was all they needed to create applesauce. If you don’t have any pears on hand just omit them and add 2 extra apples. Make sure to refrigerate and eat within 3-5 days of making. YUM! Clean up any leftover core or peel pieces with paring knife. Cook on med-low heat for two hours. Blend to create a smooth texture or eat slightly chunky (this is the way I like it).